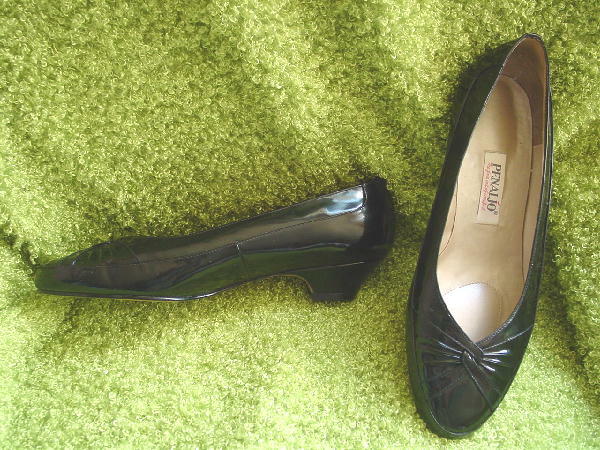 These black patent leather shoes have rounded toes and are by Penaljo. They have an interlocking ridged gathering on the vamp. They were only worn three times. 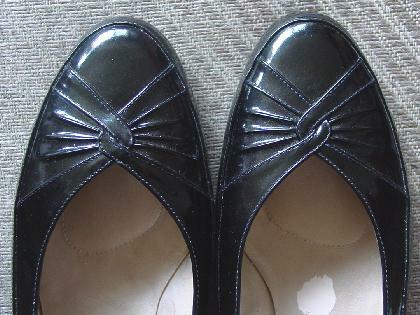 The soles and heels are manmade.